Adjustable height - 1 5/8" to 2"
The Tru- Lift is unquestionably the worlds best automatic tonearm lifter. Handmade and hand assembled in London, Ontario. Only the best materials like solid brass and machined brass and have built the Tru-Lift to last a life time. The Tru-Lift Automatic Tonearm Lifter is designed to protect your precious record collection. 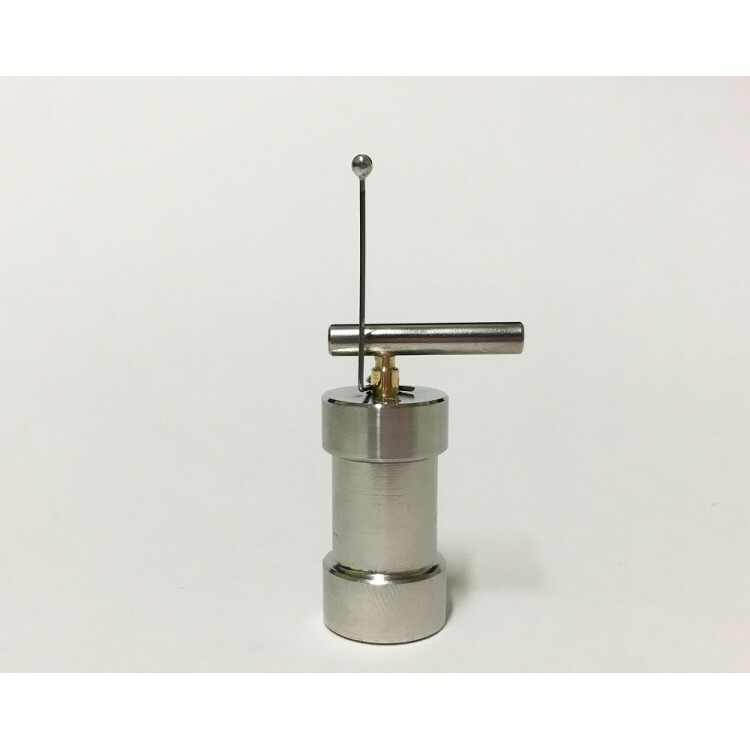 It’s made from the highest quality materials and features an oil-filled hydraulic lifter that will raise the turntable’s stylus when your cartridge has played its final tune. · Allows you to enjoy your music without the anxiety of running back to save your record. · A smooth, automatic lift – no jerking. · A beautiful design that looks great on any table. · Available in stainless steel or machined brass. · Canadian-Made Space Age Hydraulic Technology: The only other Canadian arm with more NASA-type tech is the Canadarm – but now it’s collecting dust inside the Space Shuttle, so the Tru-Lift is your best bet. 1. No Jerking or Abrupt Arm Movement. The Smoothest Automatic Arm Lifter In The World. 2, Beautiful Design That Looks Great On Any Table. 3. Unsurpassed Quality and The Best Materials. 4. Super Sensitive Switch Accompanied With Heavy Structure. Means No Need Of 2 Way Tape Like Those Light Plastic Types. 7. Helps Reduce Your Stress. By Allowing Relaxed Enjoyment Without Fear Of Falling Asleep. 8. Allows Relaxed Listening From Distances Without Fear Of Running Back At End Of Record. 9. Guaranteed For Life, some restrictions apply. 10. Best Value Most Economical In The World. 11. Strongest Lift In The World. Lifts More Than Any Other Lift. 12. Allows For Safe Hi Volume Listening Without Fear Of Needle Skipping Damaging Your Speakers. 13. Allows Safety Of Shaky Hands At End Of A Record.